Spiritual awareness is caught not taught so open your heart and your mind to listen deeply to catch it!!! 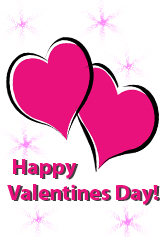 Posted on February 14, 2014 by Jeri DeVale Ph.D.
Love to all of you… You are all my valentine!!! This entry was posted in Daily Inspiration by Jeri DeVale Ph.D.. Bookmark the permalink.